People with panic disorder have feelings of terror that strike suddenly, most often with no warning. The person may genuinely think they are having a heart attack, losing their mind, or on the verge of death.They usually can’t predict when an attack will occur, and many develop anxiety between episodes, worrying when the next one will occur. associate with their attacks. For example, if a panic attack strikes while riding an elevator, you may develop a fear of elevators and perhaps start avoiding them. Some people’s lives become greatly restricted — they avoid normal, everyday activities such as grocery shopping, driving, or in some cases even leaving the house. On the other hand, they may be able to confront a feared situation only if accompanied by a spouse or another trusted person. They may avoid any situation they fear would make them feel helpless if an attack occurs. In the United States, an estimated 6 million people are living with panic disorder, and approximately 40 percent will have a panic attack at some point in their life. The condition usually begins when people are in their mid-20s. Women are twice as likely to be diagnosed with the disorder. Medications and Cognitive Behavioral Therapy (CBT) are effective treatments. CBT has been extensively studied, and it is an effective psychological treatment for panic disorder. In fact, CBT was significantly favored over medications in a meta-analysis. Mindfulness meditation is also effective. Co-occurring Substance Use: Patients with panic disorder have higher than average rates of cocaine, sedative, and alcohol dependence. Approximately 50% of people with panic disorder and substance use disorder have the onset of the substance use disorder prior to the onset of anxiety symptoms. Although the two problems may or may not be functionally related, some individuals may attempt to decrease attacks and anxiety symptoms by using alcohol or other substances. Family History: People diagnosed with panic disorder are likely to have a family history of anxiety disorders or depression. Most studies indicate that genetics are a contributing factor to the development of the disorder. Selective Serotonin Reuptake Inhibitors (SSRI): Six SSRIs are now available in the United States: Prozac (fluoxetine), Zoloft (sertraline), Paxil (paroxetine), Luvox (fluvoxamine), Celexa (citalopram), and Lexapro (escitalopram). Numerous studies have shown that each of them is effective. Prozac, Zoloft, and Paxil have official FDA approval, but all are equally effective on average. Differences in side-effect profile (e.g., potential for weight gain, discontinuation-related symptoms), drug half-life, and potential drug interactions guide selection. Serotonin Norepinephrine Reuptake Inhibitors (SNRI): Effexor (Venlafaxine) ER has been shown to be effective for panic disorder and has FDA approval for this indication. Venlafaxine ER is effective in the range of 75 to 225 mg/day. As with SSRIs, venlafaxine ER should be initiated gradually to reduce the likelihood of side effects. Dosing is often initiated at 37.5 mg for the first 3–7 days, then increased to a minimum of 75 mg/day. Venlafaxine ER is generally well tolerated and has a side effect profile similar to the SSRIs. The most common side effects of SNRIs include nausea, dry mouth, constipation, anorexia, insomnia, sweating, somnolence, tremor, and sexual dysfunction. Because a small proportion of individuals may develop sustained hypertension, an effect that may be dose related, it is reasonable to assess blood pressure prior to and during treatment, particularly when venlafaxine ER is dosed at higher doses. Benzodiazepines: Xanax (Alprazolam) has the largest number of trials supporting its effectiveness for treatment of panic disorder and is FDA approved for this indication. It prevents attacks, reduces anticipatory anxiety, and avoidant behaviors. Others: One randomized controlled trial of gabapentin provided partial support for its efficacy and safety, but no further research has been conducted. Although recurring panic attacks are the central feature of Panic Disorder (PD), the presence of panic attacks does not necessarily indicate the diagnosis of PD, since they are a commonly associated feature of several other disorders. Therefore, it is necessary to differentiate between panic attacks warranting a diagnosis of PD and those that occur in the context of other disorders. First, organic causes must be ruled out. Panic attacks can result from certain medical conditions (eg, hyperthyroidism, cardiac arrhythmias), the ingestion of various central nervous system stimulants (eg, cocaine, caffeine), or the withdrawal from central nervous system depressants (eg, alcohol, barbiturates). If the attacks only occur during the medical illness or substance use or withdrawal, PD is not diagnosed, as the attacks are judged to be a direct result of the illness or substance. Of course, after the onset of panic attacks, all patients should be evaluated to rule out the presence of medical factors. Once organic causes are ruled out, PD must be differentiated from other psychiatric disorders that include panic attacks as an associated feature. 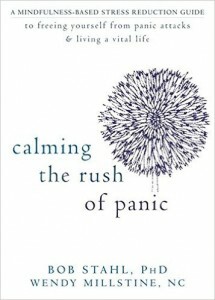 A complicating factor is that panic attacks can occur in nearly all anxiety disorderpatients. Therefore, in order to determine the diagnostic significance of a panic attack, it is important to determine the focus of the panic and the context in which it occurs. As mentioned above, panic attacks that occur in the context of PD are not associated with a situational stimulus but instead appear to occur “out of the blue,” especially in the early stages of the disorder. In the DSM-IV, this type of attack is defined as an unexpected (uncued) panic attack. In contrast, panic attacks that almost always occur upon exposure to, or anticipation of, a specific stimulus are referred to as situationally bound (cued) panic attacks. Panic attacks that are likely to occur upon exposure to a specific stimulus, but are not invariably associated with that stimulus, are referred to as situationally predisposed panic attacks. Both situationally bound and situationally predisposed panic attacks are associated with specific stimuli and are characteristic of other anxiety disorders. For example, if an individual experiences panic attacks only while giving a presentation during a business meeting, or experiences a panic attack one day prior to the meeting while anticipating his/her presentation, then this is more characteristic of social phobia, and would not warrant the diagnosis of PD. Likewise, the obsessive-compulsive disorder patient with a contamination obsession will typically experience panic attacks when confronted with dirt or perceived germs; the specific phobia patient who fears dogs experiences a panic attack when confronted with a dog; and the posttraumatic stress disorder patient may experience a panic attack in a situation that resembles that in which the trauma occurred. 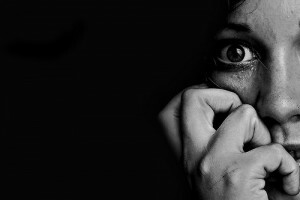 Although PD patients may experience situationally bound and situationally predisposed attacks following the development of agoraphobia (eg, a PD patient always experiences a panic attack when getting into an elevator), for the diagnosis of PD to be warranted, the initial attacks had to have been unexpected. Further complicating the differential diagnosis is the fact that one patient may have more than one disorder (ie, comorbidity), and therefore may experience each type of panic attack.